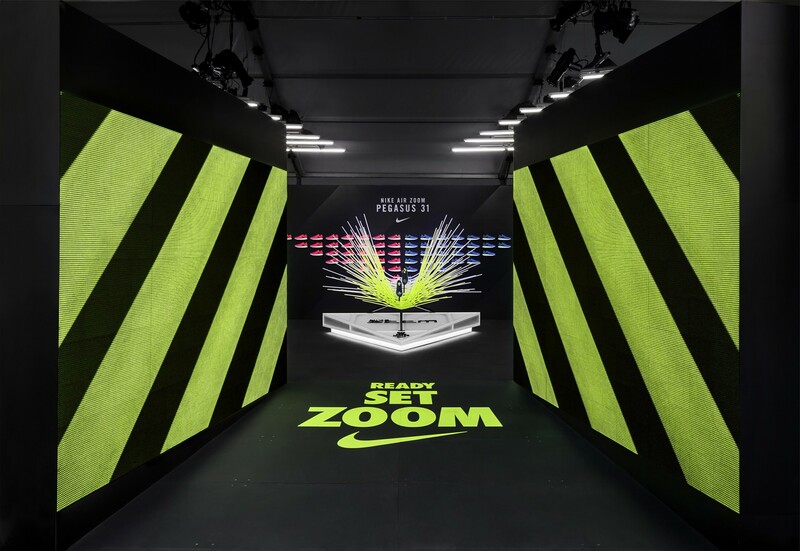 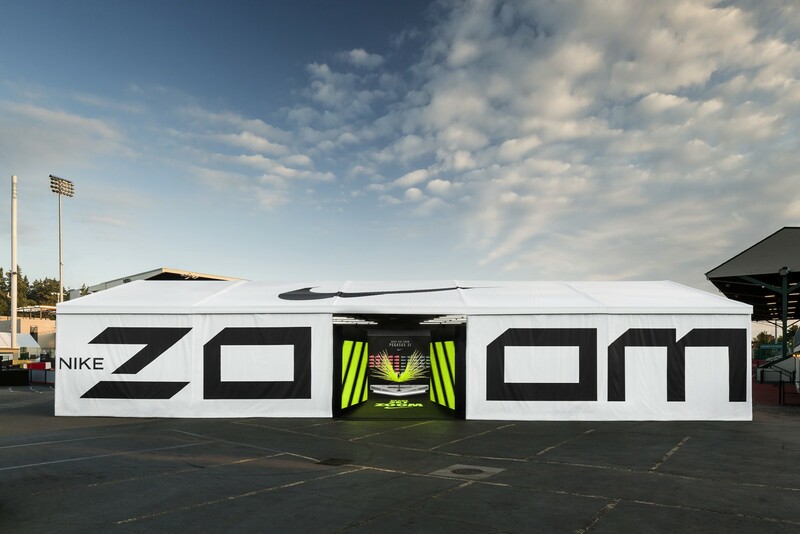 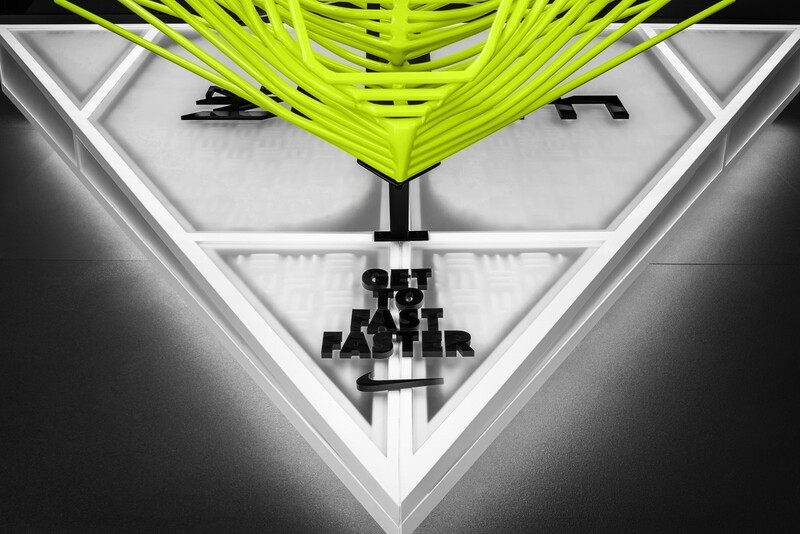 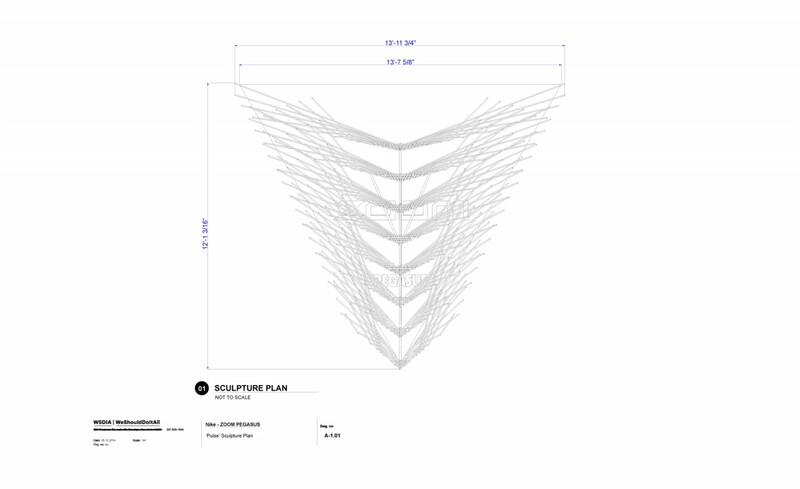 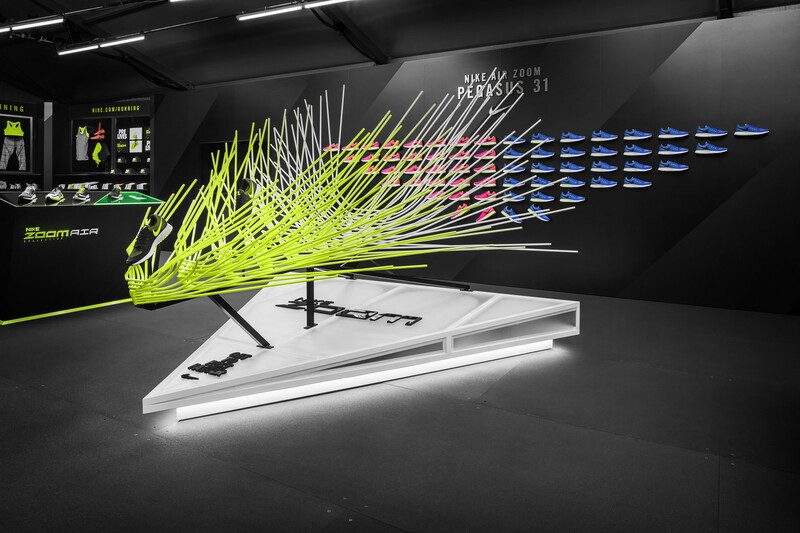 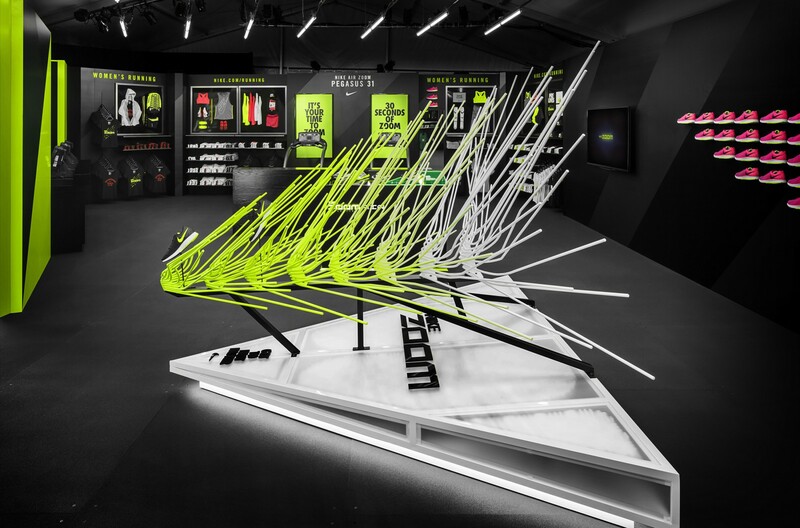 For the launch of Nike’s Air Zoom Pegasus 31 and the 40th annual Prefontaine Classic in Eugene Oregon’s historic Hayward Field, WSDIA was asked to create a sculpture reflecting the shoe’s performance and speed. 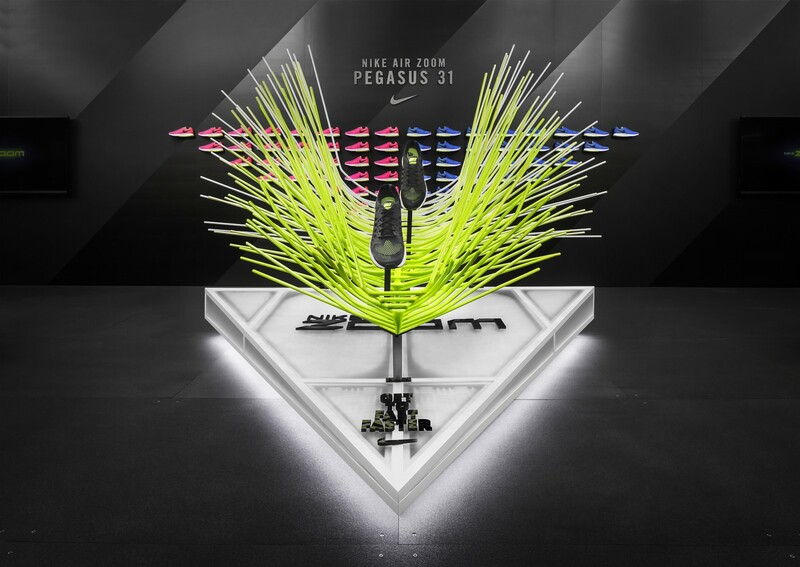 The Pegasus 31 is engineered to be highly responsive and quick off the ground. 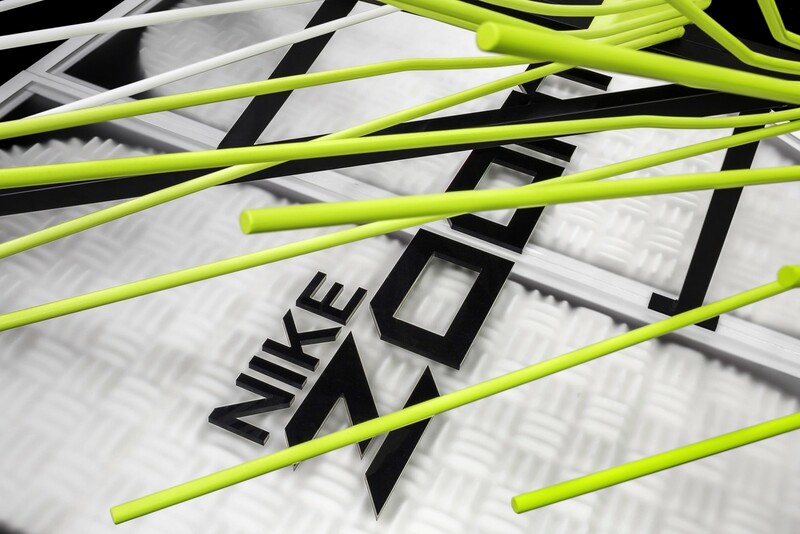 Upon impact, Zoom Air tensile fibers release their tension and snap back to their original state—generating responsive propulsion. 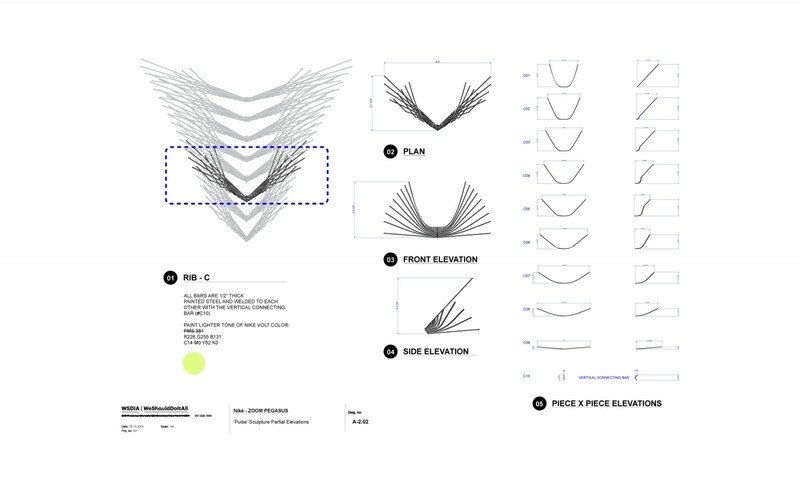 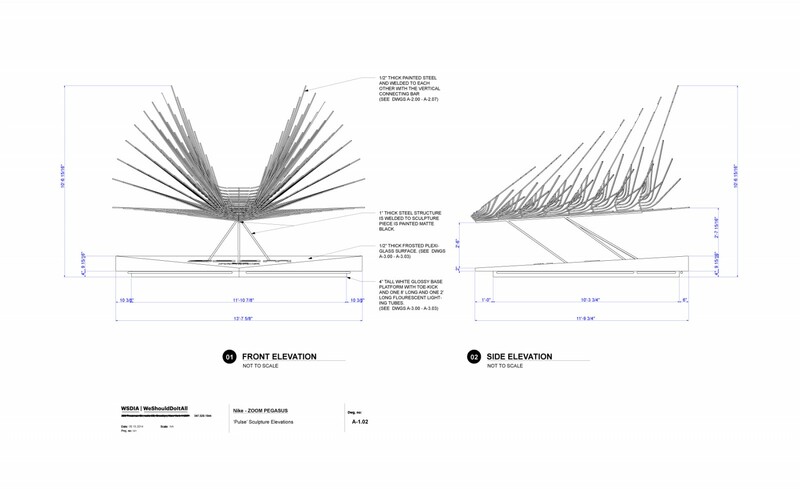 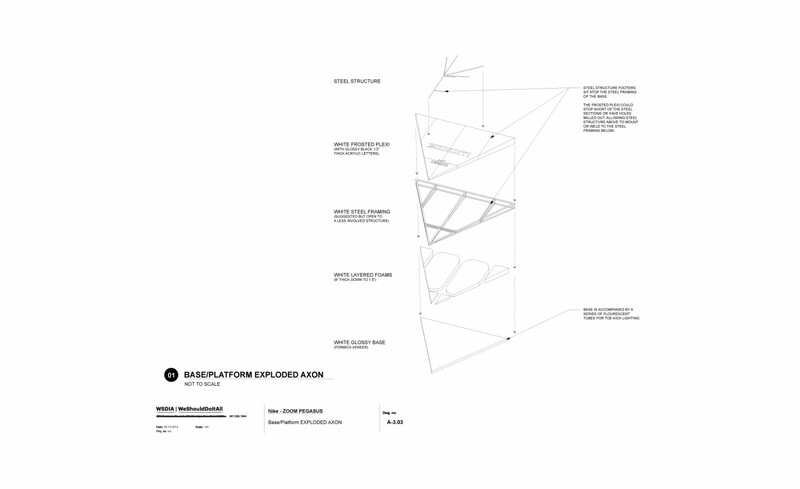 Made of 80 airbrushed and dynamically curved steel rods, the "Groundswell" sculpture captures and suspends in time, the action of speed propulsion.